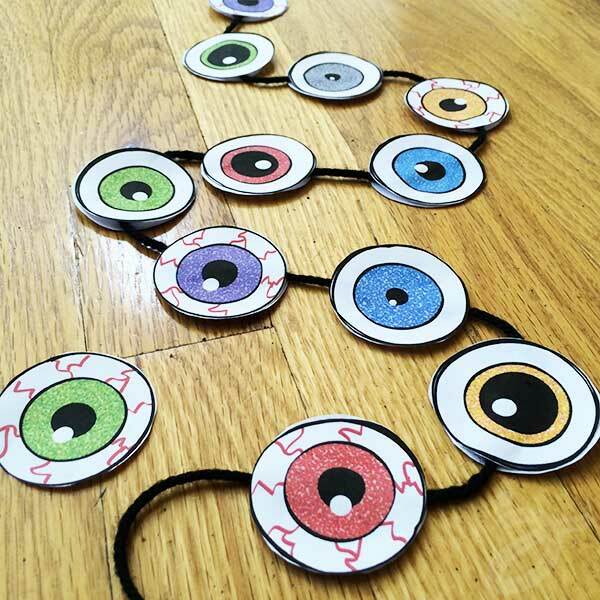 The amazing Jen Goode is back today with an eyeball printable for Halloween. Make these eyeball cupcake toppers or tons of other party decor ideas! I have my eye on you! Be sure to follow Jen’s blog 100 Directions for tons of great crafts and free printables. Add some eyeballs to a every day cupcake and you’ll have yourself a spooky fun treat perfect for a Halloween party. 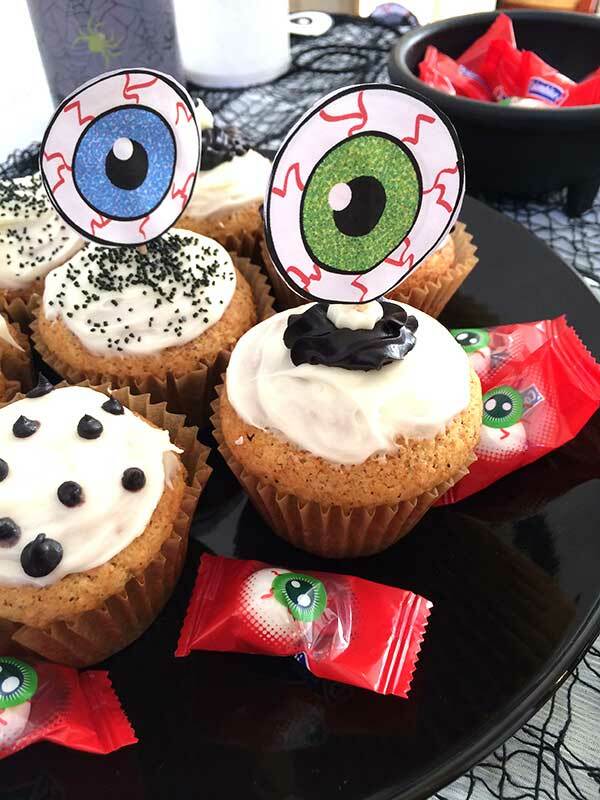 Today I have a cut eyeball printable page you can use to create all kinds of Halloween decor including these yummy eyeball cupcakes. Just download and print the page, cut out the eyeballs and you’re ready to go! Download and print the eyeball art. Add some glue to the back side of one eyeball, place a toothpick, leaving half the pick free, the add another eyeball on top, covering the first eyeball. Allow to dry and then use to decor all your cupcakes. The printable eyeball art page comes with 20 eyeballs, all slightly different. If you want a matching pair of eyes, print out two copies of the page. 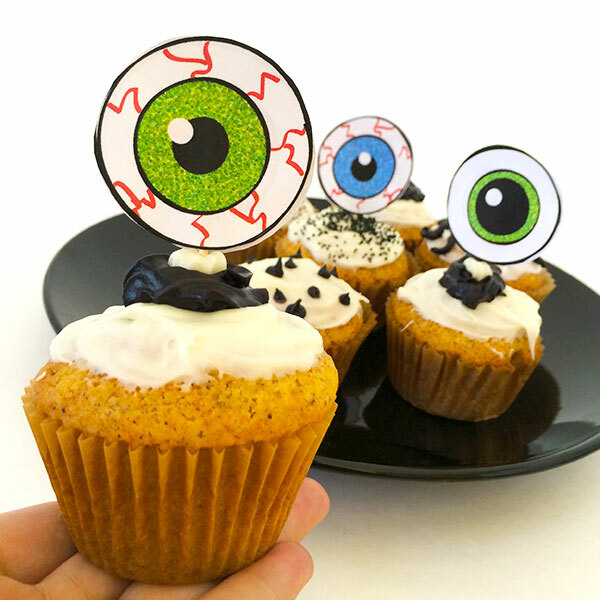 Mix and match the eyeballs to make fun and spooky cupcake toppers. You can also use this printable art to make a variety of other Halloween party decor pieces like garland, giant confetti, invitation accents and many other fun ideas. Have fun! I’d love to hear what you create with this free printable Halloween art. You can’t have too many eyeballs… right? Thanks Jen for showing us a spooky good (or Goode) time this month! I can’t want to use eyeballs on some crafts I am working on…..y’all stay tuned! previous post: Style a Bookcase in 4 Minutes or Less! I loved your eyeballs, but I must be a dunce. Page after page, I’m not seeing the actual download button. Where do I get the actual download? The button is towards the bottom of that page. Hope that helps!